Hello All, If you are preparing for Programming job interviews or looking for a new job then you know that it's not an easy process. You got to be lucky to get the call and make to the first round of interview at any stage of your career but it is even more difficult at the beginner level when you are searching for your first job. That's why you can't just take your chance lightly. You got to be prepared to grab that chance and for that, you must know that is expected from you on the interview. What is asked, what topics should you prepare, etc? I have blogged a lot about what you can find helpful articles in this blog but to recap let me tell you that apart from data structure questions, System Design Questions, and Programming language specific questions like Java or Scala, most of the programming job interviews also ask algorithm based questions. These are based upon common searching and sorting algorithms like binary search, graph algorithms, etc,. It’s important that you practice these Algorithm based questions because even though they seem obvious and easy, sometimes they become tricky to solve in the actual interview, especially if you have never coded them by yourself. 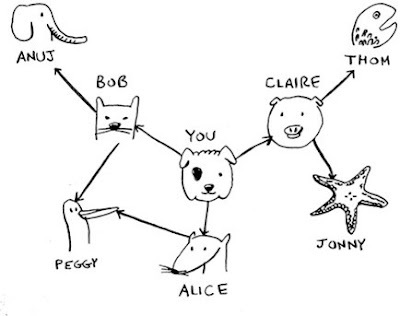 Sometime, if you use a data structure like the one I have used in finding duplicate characters on String, they will ask you to solve that problem without using Set data structure. That's just some common example and that's why practice matters a lot. Btw, if you are a complete beginner in the world of Data Structure and Algorithms, then I suggest you to first go through a comprehensive Algorithm course like Data Structures and Algorithms: Deep Dive Using Java on Udemy which will not only teach you basic data structure and algorithms but also how to use them on the real world and how to solve coding problems using them. On the other hand, if you like to read books or prefer books over online courses then you must read a comprehensive book like Introduction to Algorithms by Thomas H. Cormen to get an understanding of common Computer Science Algorithms like Searching, Sorting, Cryptography, Graph Algorithms and some common ones like Fourier Transform. Btw, if you have trouble understanding recursive algorithm or converting a recursive one to iterative one then I suggest you go through a good online course like Algorithms and Data Structures - Part 1 and Part 2 in Pluralsight to learn fundamentals better. These courses will also teach you about how to calculate time and space complexity which is very important from both Coding Interview perspective as well as improving the performance of an Algorithm. In level order search you first visit sibling nodes than going down into the next level. You can use a Queue to implement level order search in a binary tree.If you want to learn more, you can check any of these free data structure and algorithms courses on freeCodeCamp. Isn't this was the first sorting algorithm you learn? Well, I did and that's why I remember that bubble sort is about comparing each number with every other number in an array so that after each pass the largest or smallest element bubble up to the top. I mean found it's placed in the sorting order. This is one of the fundamental algorithms and time complexity of this is O(n ^2) which makes it unusable for a large set of numbers but it does well for a small set of numbers. This one was a tricky concept which I didn't know until long ago. I haven't come across any practical use case of this one yet but just knowing the concept is Ok from the interview perspective. In a stable sorting algorithm, the order of the same element remains the same even after sorting but during unstable sorting algorithm, this changes. 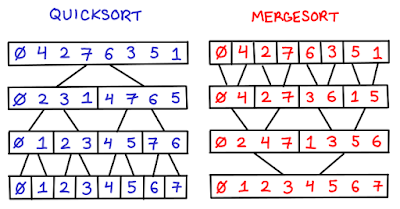 A good example is a quicksort and mergesort where former is unstable while later is a stable algorithm. Obviously without recursion:-). If you remember, I have told you before that you can use a Stack to convert a recursive algorithm into an iterative one and that's what you can do as well to implement Quicksort algorithm without recursion. You can further see the solution if you need more help with respect to implementation. Just like we have done with other O(n) sorting algorithms like Radix sort and Bucket sort. If you don't know Counting sort is another integer sorting algorithm for sorting a collection of objects according to keys that are small integers. It has O(n) time complexity which makes it faster than likes of Quicksort and Mergesort for a particular set of input. See the solution for more details. Have you ever arranged the deck of cards, or maybe shirts in your cupboard? What is common between those two things? Well, you put the next card or shirt into their proper position, or, should I say you insert the next element in its proper position. That's the insertion sort for you. The Bucket sort is another awesome algorithm which can sort an array without even comparing elements. 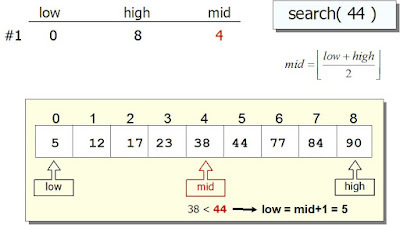 It’s known as non-comparison sorting algorithm and can give O(n) performance for selected input. If you don’t know about the non-comparison based sorting Algorithm, please see Introduction to Algorithms book. I hope these 20 questions should be enough to get you going on your preparation for Algorithms for Coding interviews. 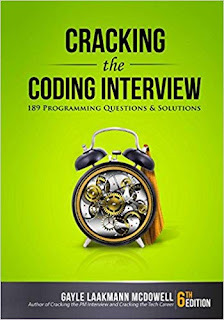 If you need more such coding questions you can take help from books like Cracking The Code Interview, by Gayle Laakmann McDowell which presents 189+ Programming questions and solution. A good book to prepare for programming job interviews in a short time. By the way, the more questions you solve in practice, the better your preparation will be. So, if you think 50 is not enough and you need more, then check out these additional 50 programming questions for telephone interviews and these books and courses for more thorough preparation. These common coding, data structure, and algorithms questions are the ones you need to know to successfully interview with any company, big or small, for any level of programming job. If you like this article, then please share with your friends and colleagues, and don’t forget to follow javarevisited on Twitter and javinpaul as well!